A “Blog Category” is used to categorize your web blog posts into easily navigable sections. For example you could create a category for your life events and another for your posts about your small business. 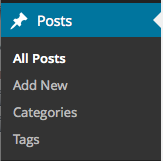 On the left hand side there is the navigation bar, click on the posts button and then click on the categories button. On this page on the right hand side you are given the option to name your category, described as well as two other options. 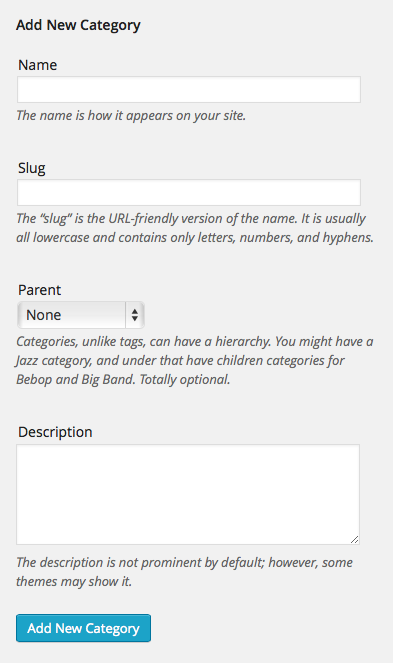 The slug as quoted from the page "The “slug” is the URL-friendly version of the name. It is usually all lowercase and contains only letters, numbers, and hyphens." this means that you can add a custom name that will show up in the url for each post in that category. 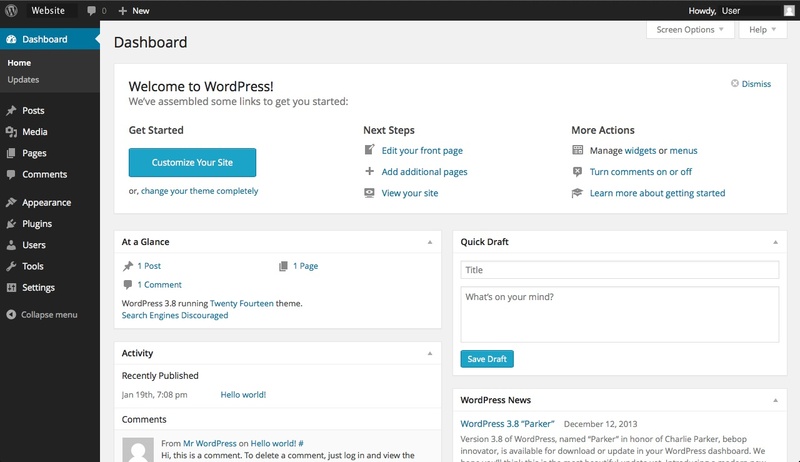 By default you can leave this blank and Wordpress will use the name you provide. 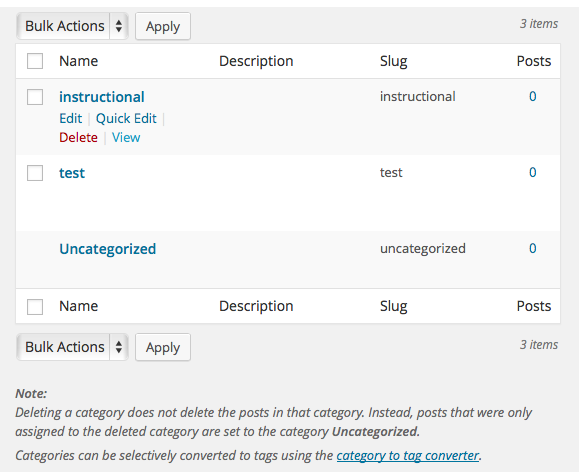 The parent option allows you to add a subcategory to a previously created main category. The final option before submitting is the discription, this is where you can add a discription to the category that you are creating. 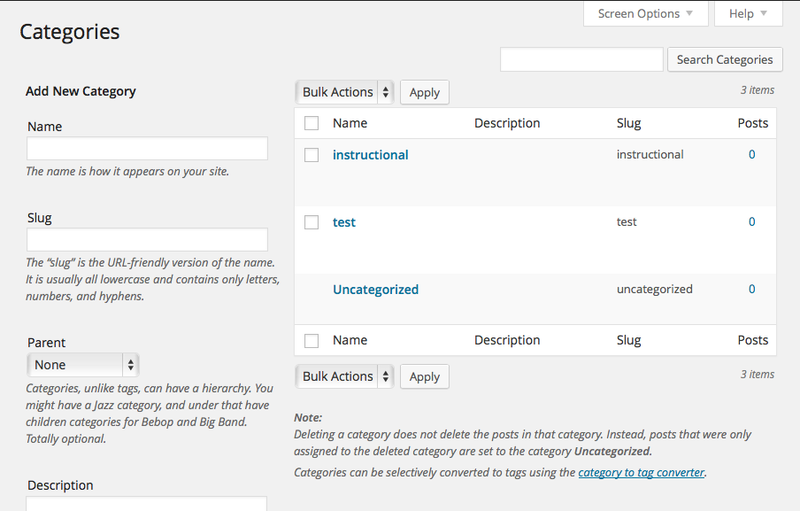 There is also an option to bulk delete categories and sub categories via the check marks and the bulk actions menu. To do this you must first check the check mark beside the category name and then with the "Bulk Actions" drop down menu and select "Delete" after that click the apply button and the posts will be deleted. If there are any further questions to making a blog post you may open and submit a support ticket.